Little Life is a chance for parents, carers and young children to meet in a relaxed and welcoming environment. 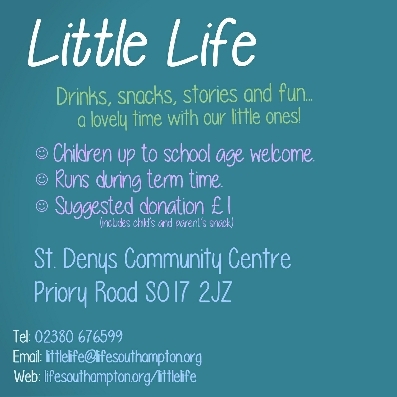 We meet from the 10.00am until 11.30am in St Deny’s Community Centre every Wednesday during term time. Each half term we have a different theme, and base crafts and fun activities on it to give the children the opportunity to learn about the world around them. Every week we share a story linked to the topic and then have a small snack. The morning includes drinks and snacks, provided for the children and the grown-ups. We ask for a small, voluntary contribution of £1. 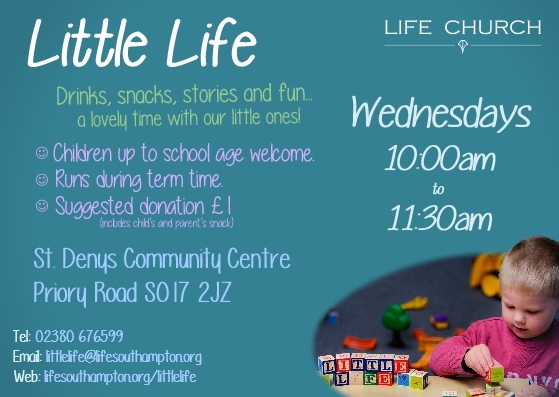 Please check the calendar for details for the next Little Life parents, carers and toddlers get-together.